In 1915 sisters Naomi and Sally Durance answer a call for nurses to join the war effort. Escaping from their family farm in Macleay Valley the two sisters leave with excitement, bravado, and a dark secret. 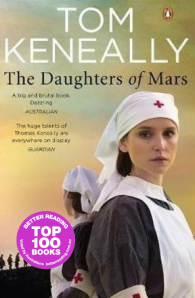 They are immediately exposed to the horrors of war as they witness Mars in all his ferocity at Gallipoli. The sisters and their newfound friends,with whom they will witness undreamt-of carnage, find themselves courageous in the face of the horror. After training the Naomi and Sally are sent to north Europe where Naomi nurses in the visionary Australian Voluntary Hospital run by the committed and eccentric Lady Tarlton, and Sally in a casualty clearing station next to the Western Front. Here, again, they must face the inhumanity of war in its many terrible guises – where trench warfare and gas abound. But it is here, too, that the sisters meet the remarkable men with whom they wish to spend the rest of their lives. This is a beautiful book, inspired by the journals of sister nurses of World War II. 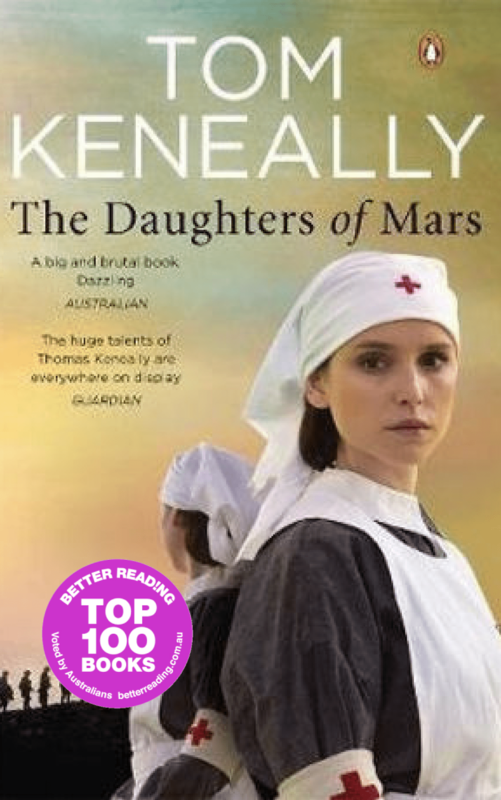 Tom Keneally explores historically significant issues through the narrative that remain relevant in today, as well as depicting the delicate relationships between sisters.